Well, what can one say of Raghavendra Swamy. He is an ocean of kindness and is often compared to the Ganga or Ganges. Just as the Ganga is believed to wash away all our sins, so also Raghavendra Swamy or Rayaru will lead us away from the path of evil and ont o the path of truth, belief and devotion. 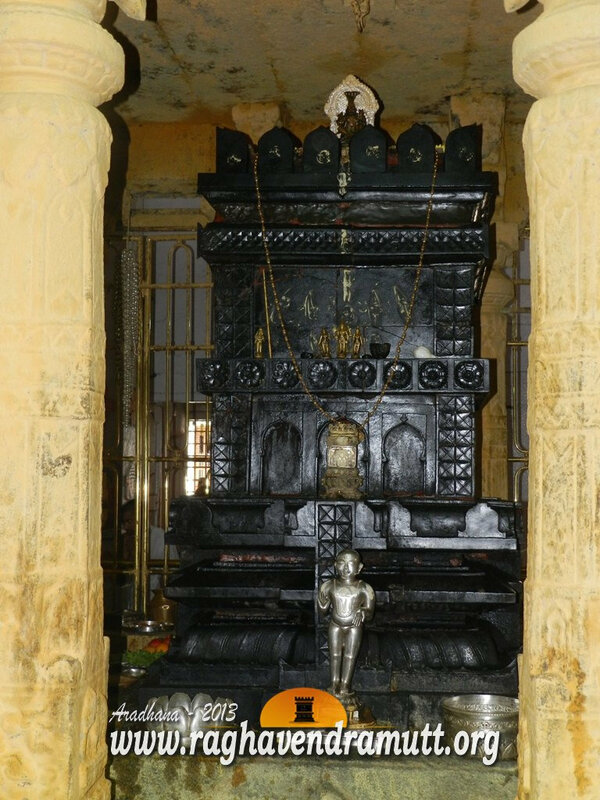 A staunch follower of Hari, the many works of Raghavendra Swamy reflect his scholarship. In all his works, he speaks of the primacy of Hari and the need to believe in him to attain Moksha. While many of his works are philosophical in nature and need commentaries to unravel the deeper meaning, there is one small work of his which showcases his outstanding ability as a scholar. This is the Rama Charitra Manjari. The Manjari is only eleven paragraphs or verses long but it gives us the complete Ramanaya. Wow. What an effort. Please remember that the original Ramayana is 24,000 verses long comprising seven books or kandas and 500 Cantos. In this beautiful composition, Raghavendra Swamy gives us a concise narration of Ramayana. While it would be a herculean task to even remember the verses of the original, here Rayaru has condensed it in quintets and it can be recited daily and on all occasions. Incidentally, Sujnanendra Teertha, (1836-1861) of the Raghavendra Swamy Matha, has further condensed the Ramayana in just five verses. By the way, our Acharya-Madhwacharya-has penned Mahabharata Tatparya Nirnaya, which also covers the Ramayana. This is in 32 chapters and it gives us invaluable insights into Mahabharata and birth of Vedavyasa.